A romantic dinner in the Regensburg Old Town, food with friends in the big or small circle, no matter whether Bavarian or international kitchen - no culinary wish remains unfulfilled in Regensburg. 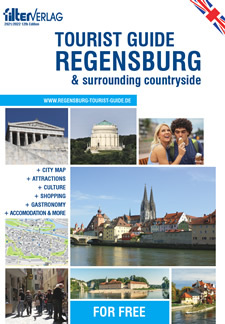 Our Regensburg City Guide shows you a choice of the best restaurants of town. And after dinner the night is still young in our world cultural heritage town: The lively student town Regensburg has a multifarious night life which is famous far over the borders and attracts many people from the surrounding.